Driving along the shoreline is always a special treat for me, and I'm particularly fond of the designated routes encircling the Great Lakes. We live close to the Ohio border, and we've traveled the Lake Erie Ohio Coastal Trail many times. The 293-mile route is primarily Ohio's portion of the 660-mile Lake Erie Circle Tour and wends its way through a variety of nature preserves, historic sites, big urban centers, and small towns. You can drive the entire route in a day, or you can easily spend several days exploring the trail. We're close enough to the western end of the route that we occasionally do a portion of the route just east of Toledo as a day trip. 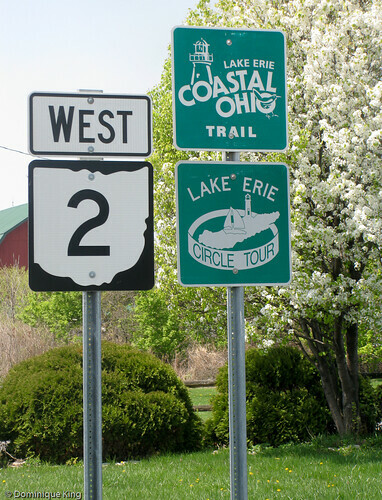 The Lake Erie Coastal Ohio Trail earned its designation as an Ohio State Scenic Byway in December of 2004, and became a National Scenic Byway in September of 2005. The Lake Erie Circle Tour earned its designation in the early 1990s. The Lake Erie Coastal Ohio Trail runs from the Michigan border near Toledo, Ohio, and on through Conneaut, Ohio, to the Pennsylvania state line. 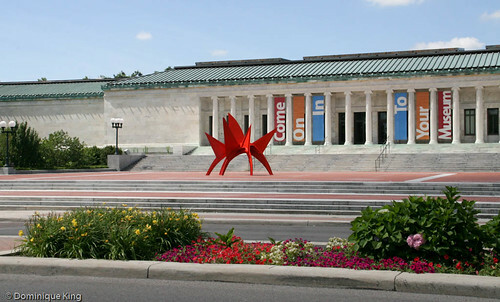 Toledo-Stop by the legendary Tony Packo's for a Hungarian hot dog and some fried pickles and peppers, tour the city's Old West End neighborhood with its stately Victorian-era homes, and visit Toledo Museum of Art with its outdoor sculpture garden and renowned glass collection. Take in a Mud Hens' baseball game, or do a little shopping at the city's Farmers Market and the Libbey Glass Outlet. Maumee/Oak Harbor-Spend a night at the Maumee Bay State Park Resort or an afternoon on the resort's nature trail, where you can spot the Toledo Harbor Lighthouse in the distance. Nature lovers, hikers, photographers and birders will enjoy visiting the Magee Marsh Wildlife Area and Ottawa National Wildlife Refuge just east of Toledo. 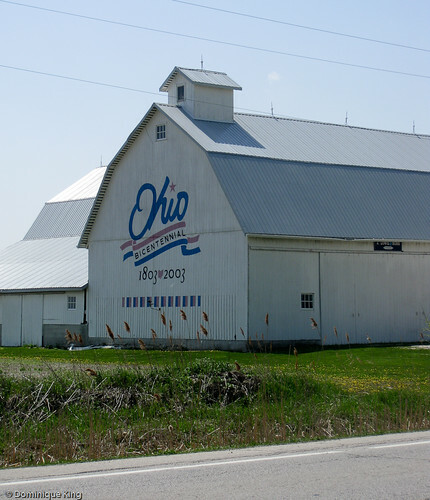 Don't miss the Ohio Bicentennial barn along the route near the wildlife sanctuaries. Sandusky/Marblehead-Most people know the Sandusky area best for the Cedar Point Amusement Park or island destinations like Put-In Bay. It's been quite some time since I've been to either place (which gives me more excuse to travel out this route yet again), but other favorite places in this section of the route include the city of Sandusky itself with its Carnegie Library and a trip out to the tip of the Marblehead Peninsula to see the Marblehead Lighthouse. Cleveland-Cleveland clearly rocks with us, as we've been there multiple times. I bought a charter membership to the city's Rock and Roll Hall of Fame + Museum, so we make it there quite often. You might not think of a cemetery as a trip destination, but Cleveland's Lake View Cemetery is an especially interesting stop for those who love history and taking photos. 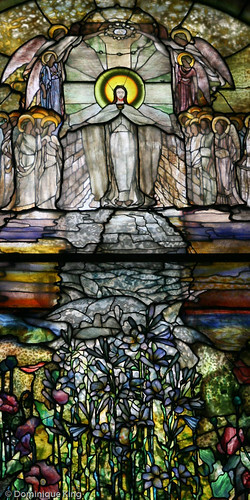 While you're at Lake View, don't miss the President Garfield Memorial or the Wade Chapel (the chapel's Tiffany-designed interior and windows earned it a place on the National Register of Historic Places in 1973). President Garfield's home in Mentor, Ohio, is just east of Cleveland and another must-see for history buffs. Ashtabula-There is plenty to see in this city near the eastern end of the route. Catch a glimpse of the Ashtabula Lighthouse or check out Point Park with its great view of the city's bascule bridge. The Hubbard House was an important Underground Railroad terminus and sits on a quiet side street within sight of Lake Erie. I expect we'll travel this trail many more times as there are plenty of other places along the route we've yet to see, so don't be surprised to see a sequel to this post sometime in the future! We have a GPS, but I still find a good map invaluable when we travel. Delorme publishes a series of map books covering each individual state, with each book including listings of features like parks, historic sites, museums, campgrounds, and other great information. These books are a must for road trips, and I've worn out several of the Michigan and Ohio Gazetteers from use over the years. Check out the Ohio Atlas & Gazetteer before heading out on the Lake Erie Coastal Ohio Trail.